Raghavendra Rathore belongs to a rare breed of Indian designers who fit into the contemporary fashion-scape without compromising on the narrative that is at the core of the brand. 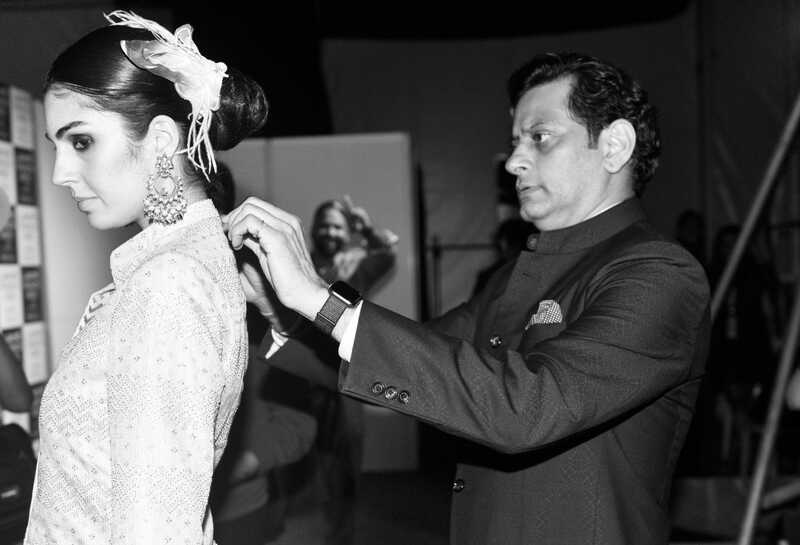 Known for his exquisitely tailored menswear, in specific, bandhgalas, Rathore’s designs are rife with insignias of regality (the bandhgalas seamlessly tie into this), something that can be traced to his roots in the erstwhile royal family of Jodhpur. Rathore was first exposed to fashion while accompanying his father, an MLA, on his visits to different areas of Rajasthan. Young Rathore was struck by how weavers engaged in crafts without any modern services. He was also inspired by the exquisite architectural and artistic styles, including specimens of impeccably-tailored royal ensembles. But above all, it was the fashion of the 1920s, and the idea of how international designers created tailored pieces for royalty, that intrigued him. Today, the city of Jodhpur inspires his classic, clean, modern sensibilities. This year the brand celebrates 25 years in fashion, carving a niche for itself with standout pieces are characterised by sharp, slick designs. Even since Rathore established his label in 1994 – having returned from studying in Parsons, New York City, and worked under Donna Karan and the late Oscar de la Renta – he has worked towards making tailored menswear his signature. 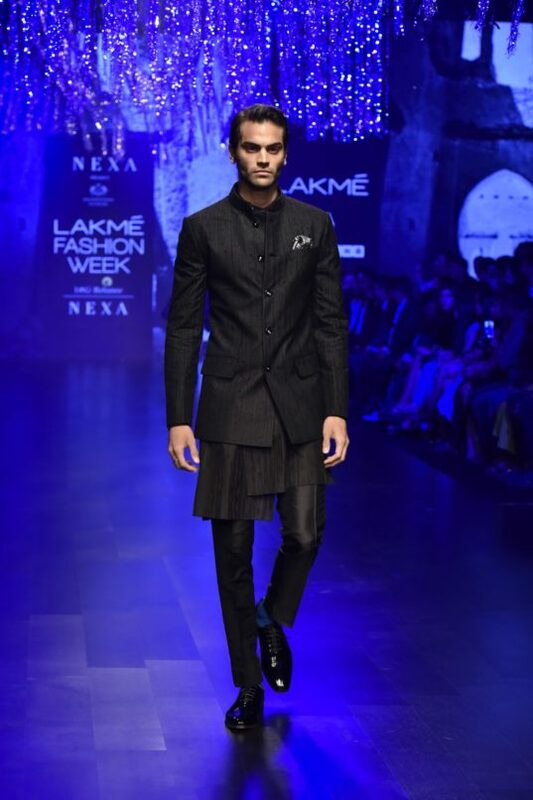 However, it is the bandhgala, its many forms, and the idea of what the design means in a contemporary context, that has pushed him to explore the menswear silhouette in a wholesome manner. Today, Rathore has also expanded its scope to create similar designs for women. 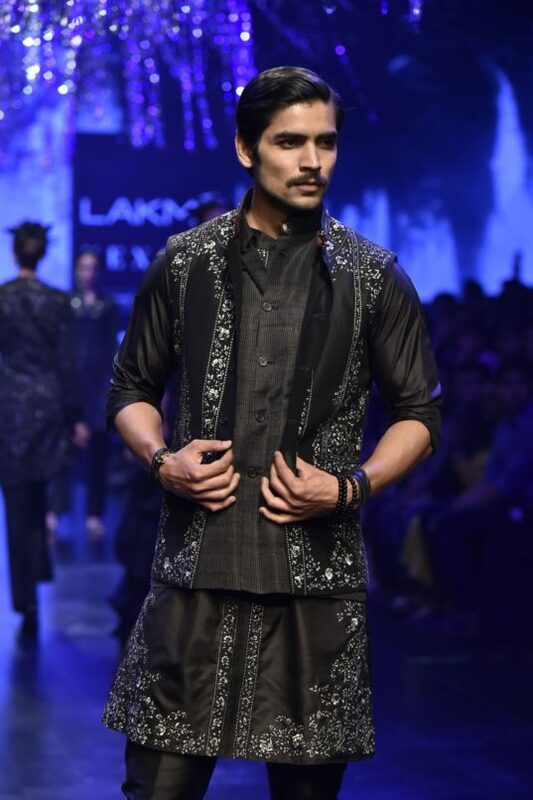 At his latest show at Lakme Summer Resort 2019, he created bandhgalas for women – tailored silhouettes on the top which flared at the bottom or were paired with slim pants. Rathore says he wants women to become familiar with his bespoke tailoring and wants to curate their lifestyle requirements. Perhaps it is this 360-degree approach that has contributed to his association with Zegna. The Italian menswear design house made an equity investment in the Raghavendra Rathore Jodhpur, mid last year. Rathore spoke to Lifestyle Asia India on his love for the bandhgala, his Zegna association and what it means to celebrate that elusive silver jubilee in fashion. What does the bandhgala mean to you? What started off as a garment for men has now metamorphosed into a timeless classic. The bandhgala draws its roots from Indian tradition, representing the culture, and holds an ancestry synonymous with it. The signature bandhgala and its evolution comes from experimenting with different fabrics, the use of a variety of surface treatments etc, which allow it to suit all kinds of weather conditions. From simple to eccentric, the garment evolves while staying classic in nature. How did the bandhgala become the focal point of your narrative? We started a small studio 25 years ago to tailor womenswear and menswear bandhgala jackets out of a small quaint room in the corner of the house. Little was known that the power of the bandhgala would bring stalwarts who actually enjoyed wearing it from all across the globe. Then in 1994 the Indian model, Meher Bhasin, walked down a runway of a fashion show in a 1200-year-old fort in Jodhpur, wearing a beige version of the bandhgala jacket paired with Jodhpur breeches. The jacket was sharply tailored and fitted her like a glove – it had two satin princess panels on either side. 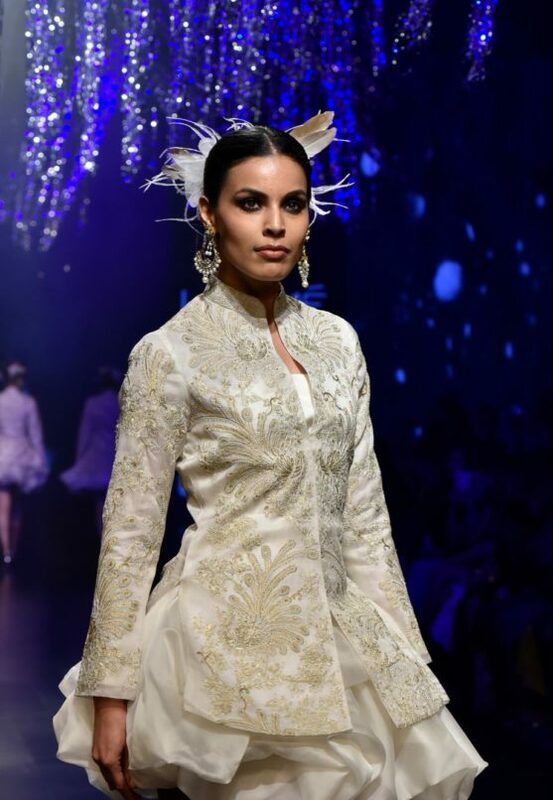 As she descended down the stairs in the ‘zenana’ (traditional ladies enclosure) section of the magnificent fort, it was the first time audiences in India witnessed the profound impact of a tailored bandhgala. 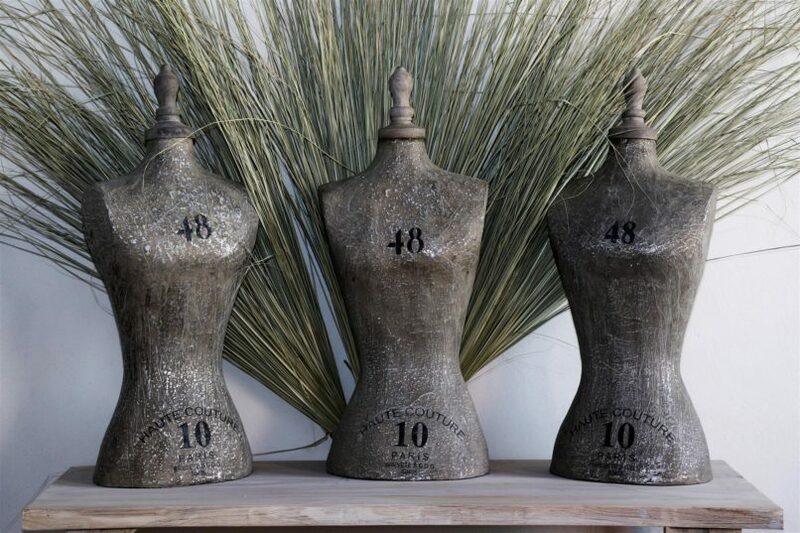 This was the tipping point, and a perfect place to start the story of our brand. 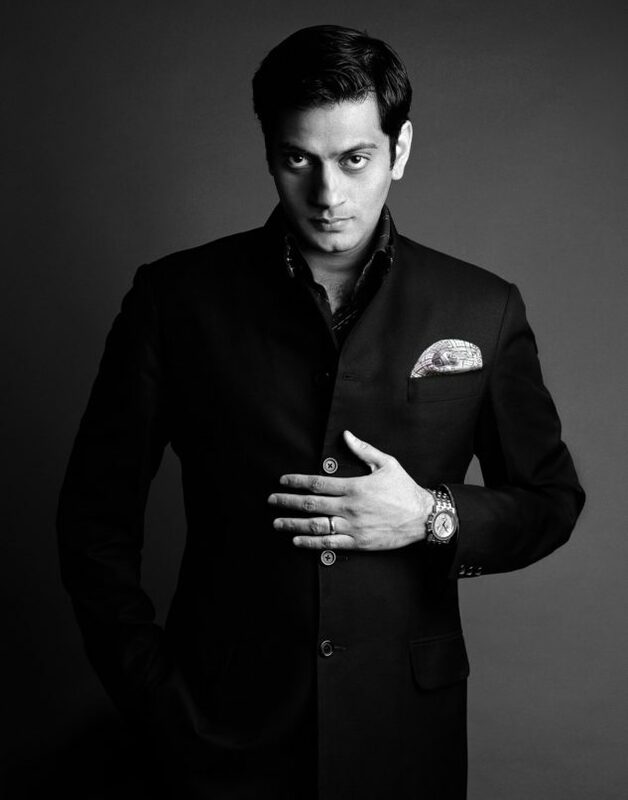 Since then, the bandhgala has become synonymous with the Raghavendra Rathore Jodhpur label. Can you throw some light on your association with Ermenegildo Zegna? This strategic alliance represents a partnership that can nurture my vision of promoting our rich tradition, craft, and the epitome of classic style, through our brand offering. Most importantly, it endorses the pedigree of the brand, as it rubs shoulders with a plethora of luxury brands. This partnership celebrates the symbolic acceptance of Indian design on a global footprint for the first time. Through this unique collaboration, the ever-evolving consumer would get access to a fine blend of regal heritage dove-tailed in modern boldness. You recently opened the Gurukul School of Design in Jaipur – what prompted you to do so? I started it in order to go back to where it all started from, and contribute to the making of a new generation of fashion entrepreneurs. The idea is to acclimatise a new generation of designers to the changing world of design through a unique undergraduate programme. Through its curriculum, GSD allows students to replicate what a designer does in real life. The inspiration behind GSD were two gentlemen. The first was Mr Robert Valtz, who helped me sustain a world-class education in New York. His support, with the condition that I would also help others garner quality education in the future, has led me to conceive the idea of establishing a design college. And my father, Maharaj Shri Swaroop Singh, whose influence trickled down from his philosophy of staying true to the land by utilising local resources over other materials. What do you feel about completing 25 years in the industry? The last decade saw a humble brand from Jodhpur metamorphose into Raghavendra Rathore atelier, which has established itself as a guardian and a propagator of culture and heritage. Through its product offering, with a contemporary approach in the bespoke segment, the brand is now as a global player. Also, the brand is honoured to have led the way for the industry in terms of disseminating the message of cultural and heritage clothing in a classic space. Reliance Brands and Ermenegildo Zegna’s investment into the brand, a first of its kind in Asia, will now fuel the next phase of growth. The Rathore Jodhpur luxury label is about offering everything handmade, and that has given the brand a unique privileged positioning and has helped resurrect the bespoke segment in India. Manage your time well. Be patient and let the growth be organic, and don’t be afraid to experiment with your passion. Being a designer today is not just about being creative but also about being able to establish your signature, to be able to present and speak well and ensure that the brand will be a success.